A few days after returning from China, Anthony Perez was already ready to jump into a new job at a new school district. The 2011 graduate of Grand Canyon University’s master’s program in elementary education spent weeks teaching English to university students in China, and then started as an English-as-a-second-language teacher in the Cartwright School District in Phoenix before he even had time to think about jetlag. Who ever said teachers take long summer vacations? Perez was selected to teach at Huazhong University of Science and Technology in Wuhan through a program only available to teachers who, like him, have been named as Rodel Promising Teachers. 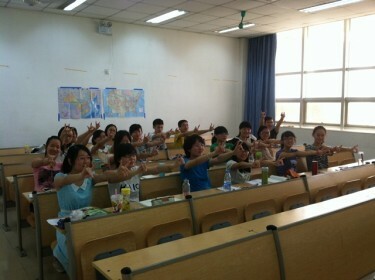 The China opportunity required that Perez tap his experience as a teacher of English to non-English speakers. He excelled at as an ESL teacher in Glendale prior to joining Sunset Elementary in Phoenix as a second-grade ESL teacher. So the tactics he used with Chinese students were similar to those he uses in the classroom with immigrants from Central America and other countries. Perez is one of 19 GCU College of Education students who’ve been honored by the Rodel Foundation of Arizona since 2009. Rodel focuses on recognizing teachers who are helping students in low-income schools with free or reduced lunch programs, or other socioeconomic challenges with at-risk youth. Dr. Marjaneh Gilpatrick, executive director of educational outreach in the College of Education, said Perez exemplifies the type of student-oriented graduate that GCU aims to produce for local schools. Perez dedicates himself to his classrooms, Gilpatrick said, which fosters hard work and confidence with ESL students. Anthony Perez earned his master’s degree in elementary education from GCU in 2011. As part of the Rodel agreement, Perez and other students have had the opportunity to shadow Rodel teachers in the field to receive first-hand mentorship in the classroom. 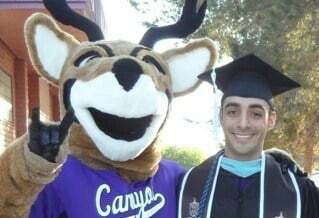 Perez, who taught in Glendale Elementary School District after graduating and joining Cartwright School District this fall, said GCU’s emphasize on practical real-world skill development helped prepare him for the workforce. Reach Michael Ferraresi at michael.ferraresi@gcu.edu or 602.639.7030.